We had a lot of activity over at The Piece by Piece this week. While our Design Team created project to inspire our online followers and shoppers, many of the details required to open our brick & mortar store really took off this week. A big step in opening our doors for business is receiving the keys to the doors and it happened this week. It was so exciting to unlock the door to a blank canvas that will soon be filled with art and craft supplies to inspire creativity for many people to come. More information about each workshop will be coming soon, but in the mean time save the date and look forward to some enjoyable time at the craft table. Over the next few weeks I will be working withe my interior designer to decorate the store in a very French Country theme and I will work with a number of vendors to stock the shelves. More news to follow on our grand opening, so please keep an eye on the blog and facebook for updates. This week's designers created amazing projects ranging in style form shabby chic to vintage. Each one is beautifully unique and a feast for the eyes. Enjoy each one listed below and I encourage you to click on the links to see the videos and designer blog posts for all of the project details, including a supply list of what was used on each project. 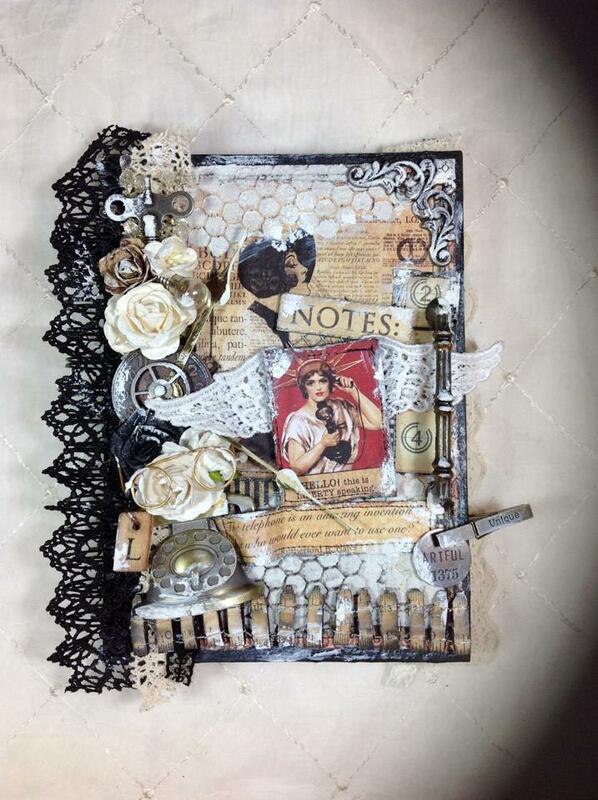 Linda's beautifully collaged sketch book is going to make a wonderful gift for a very lucky person! This is one of those lovely pieces of art that you can look at multiple times and see something new each time. We love how Linda coupled the Graphic 45 vintage papers with our laces, they compliment each other perfectly. Miranda's book stack is filled with hidden drawers, photo frames and shadow boxes that are just as sweet as can be. She adorned this shabby chic trio with ribbon, fabric flowers and resin pieces from our Etsy shop. 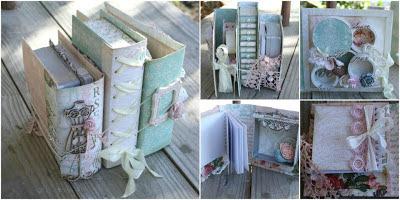 Wondering what to do with those configuration boxes you might have hanging around your craft room? 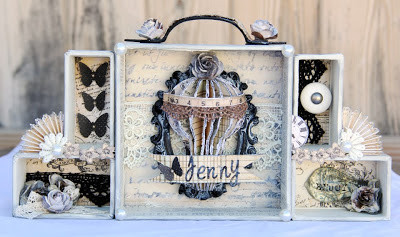 Well, Tiffany, TPBP designer, has adorned hers with our beautiful lace and a few other goodies as well. 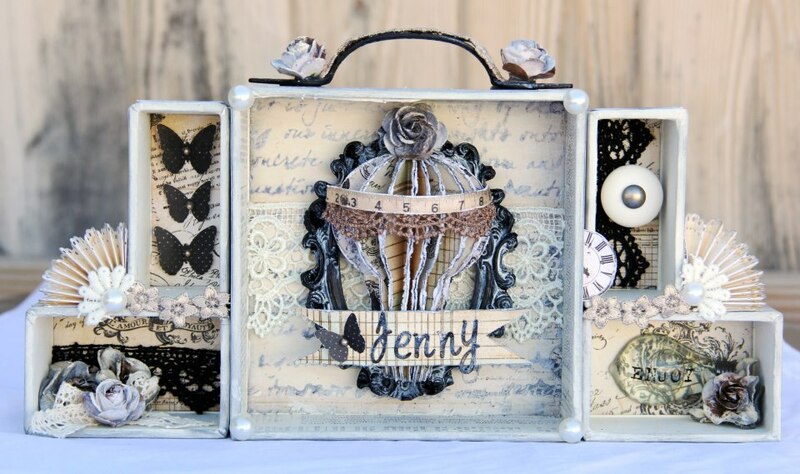 Take a look at her video tutorial for all the details. wow! love love all work!